We love Creativity at Feng Shui By Fishgirl. Of course we’re big on pork, too, being in BBQ country. 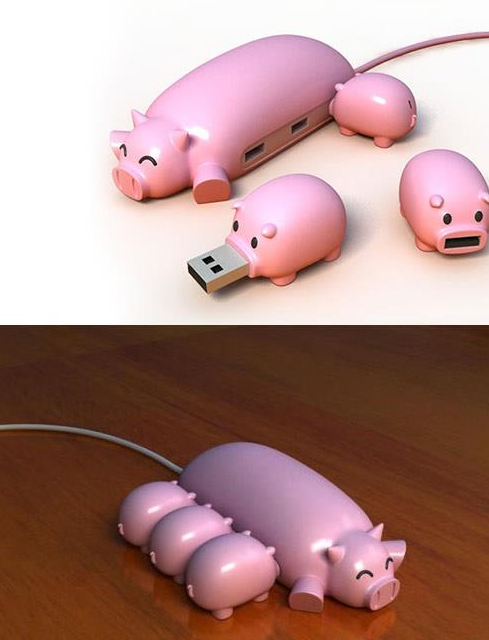 In any case, check out the design of the flash drives and USB hub that we saw recently at HomeDesigning.com…Do you love it or hate it? BTW if you’re born in the Year of the Pig, this is an auspicious symbol for you to keep on your desk. Wonder if they have any Year of the Dragon flash drives out there for 2012? I will research and get back to you. It is too cute Katy! No one could possibly hate this!